At the end of February 2018, bettercap 2 was released and since then this version is actively developing, new functions are added to it. 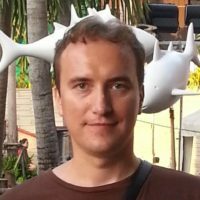 bettercap 1.6 is deprecated and no longer supported. In the latest versions of bettercap, there are a lot of changes: the program was re-written in another programming language, instead of Ruby, using Go. Thanks to the change in language and other methods, productivity increased dramatically, optimized CPU and memory usage. The model of interaction with the program has changed: before it was a command line utility, various options were used while launching. A new version can also be run in a non-interactive mode, using options, but now an interactive mode is available, as well as an API. Even the purpose of the program has changed: it used to be a modular platform for implementing complex man-in-the-middle attacks, now, in addition to supporting man-in-the-middle attacks, there is also functionality for network monitoring, 802.11 and BLE wireless networks monitoring and attacking . The program functions became more atomized, for example, to launch the most common middle-man attack, consisting of ARP spoofing and sniffing, now you need to enter several commands (there was only one option before). This increases the flexibility of program usage, but at the same time complicates usage. To automate the work of the program and simplify the usage, ones can use caplets that control the work of bettercap and its modules. Examples of caplets are collected in the repository https://github.com/bettercap/caplets. In general, it's just another program, in which everything is new. wget "https://github.com`curl -s https://github.com/bettercap/bettercap/releases | grep -E -o '/bettercap/bettercap/releases/download/v[0-9.]+/bettercap_linux_amd64_[0-9. ]+zip' | head -n 1`"
Installing bettercap from the source code will be discussed at the end of the article. Now the main functional feature of bettercap is not only the man in a middle attacks. Thanks to caplets and scripts, it is possible to implement a variety of phishing attacks and attacks based on data manipulation, the starting point of which is a man-in-the-middle attack. For this reason, it's not easy to write exhaustive manual for bettercap. To approximate the possibilities of the program, read the documentation, and also get acquainted with the repository of caplets: many of them have comments in the source code that help to understand what the program will do exactly. This is a passive method of monitoring, since the search for hosts is based on reading of the ARP cache. To exit the program, type q or press CTRL+z. This is an active method since network analyzers will see that a computer with bettercap massively sends packets. The first net.probe on command, as we found out a little earlier, enable an active search for hosts, and the second command is used to execute a given set of commands periodically. Since we did not specify which commands to execute, the default executed commands are clear; net.show, the result is an interesting effect: in the background it is constantly searching for hosts, and information is displayed on the screen in real time. sudo bettercap -eval "net.probe on; ticker on"
ping -c 1 google.com >/dev/null 2>&1 && echo "Connected" || echo "Not connected"
!ping -c 1 google.com >/dev/null 2>&1 && echo "Connected" || echo "Not connected"
But in addition to the -eval option, there is also the -caplet option, which also allows you to run the program with the specified commands. set ticker.commands clear; net.show; !ping -c 1 google.com >/dev/null 2>&1 && echo "Connected" || echo "Not connected"
To analyze HTTP traffic, you must enable http.proxy. If it is used in conjunction with spoofing, all HTTP traffic will be redirected to it and, if necessary, it will automatically handle port forwarding. To attack the whole subnet, skip the set arp.spoof.targets IP line. The DNS query is replaced by the dns.spoof module. You can configure it before starting it. This is a new bettercap feature. By the way, Bluetooth Low Energy support has also been added. Can't restore interface wlan0 wireless mode (SIOCSIWMODE failed: Bad file descriptor). Yes, bettercap now knows how to do this, and also knows how to perform the deauthentication attack. If we want to capture a handshake from a specific access point, then we need to know the channel on which it works. This is enough if we are going to passively wait for the client to connect/reconnect to the AP. To perform the deauthentication attack, we need to know the BSSID of the access point (in this case, the attack will be performed against all clients) or the BSSID of the client (in this case, the attack will be performed against one client). The Sniffer is run the same way every time. The further values of the variables depend on the target being attacked. In addition to bettercap, there are already enough programs that can capture handshakes. The advantage of bettercap is that we can automate the process. # if yes, then quitting bettercap. The program will work until it grabs the handshake. But after grabbing a handshake, bettercap will finish its work and no longer bother network clients. Among the Wi-Fi functions, it is possible to create a fake access point with or without encryption. As you can see, there is a lot of options for automation and various combined attacks, including automated attacks based on social engineering. As already mentioned, the caplets are placed in the official repository. There are some very simple examples that automate several typical actions, and quite complex implementations of modern attacks. BeEF is a platform for web browsers exportation. To start, you need to embed the JavsScript code in a web page. The beef-passive.cap and beef-active.cap do just that. The beef-inject.js file controls the insertion, so if you want to change the address or port of the Javscript file, you need to edit this file. Before starting this attack, you need to start the BeEF service, or edit the caplets by adding the appropriate command. 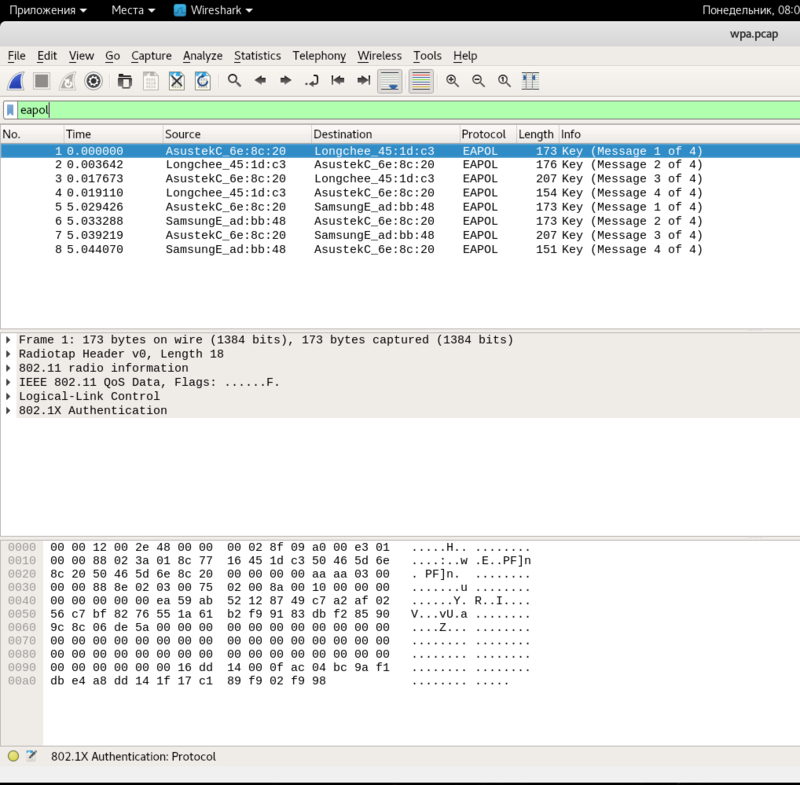 The first caplet insert the JavsScript file passively, the second one is active, using traffic redirection from other hosts using ARP spoofing. crypto-miner.cap inject the miner. You need to enter your own key by editing the crypto-miner.js file. The configuration is performed in download-autopwn.cap. In the pair is a download-autopwn.js file, which is NOT intended for implementation in the browser, it is used as a script for the http.proxy module (that is, it manages bettercap behavior and traffic manipulation). 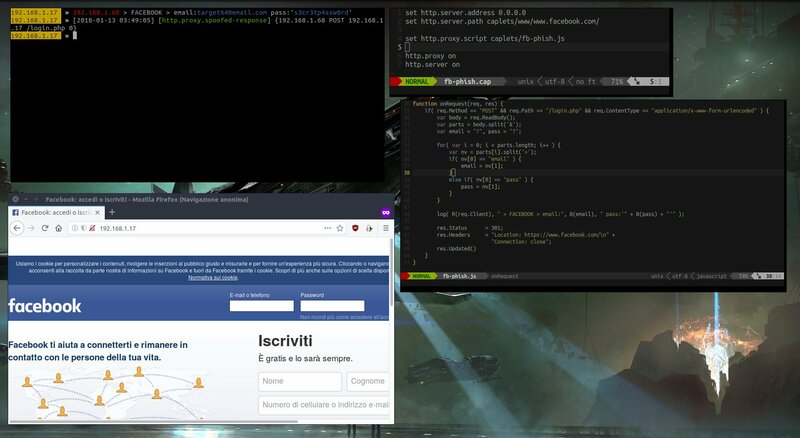 The fb-phish.cap applet shows a fake Facebook login page on port 80, interrupts login attempts using http.proxy, prints credentials, and redirects the target to a real Facebook. In the pair there is a fb-phish.js file, which is a script for the http.proxy module. Execute an ARP spoofing attack on the whole network (by default) or on a host (using -eval as described), intercept HTTP and HTTPS requests with the http.proxy and https.proxy modules and dump them using the http-req-dumsp.js proxy script. The essence of the attack is as follows: if on a web site you previously entered a login and password, then if there is a form on the page, the browser automatically fills in the data entered earlier. Firefox does this right away, Chrome requires any user interaction - for example, clicking anywhere on the web page. This form can be invisible. So, the attacker injects onto the site pages an invisible form into which the browser itself enters the login and password, the form transmits data to the attacker. This is implemented in the login-man-abuse.cap caplet. There is a demo page where you can see an example of the attack: enter any e-mail and password, then you will be transferred to another page that "guesses" what you entered earlier. The approximate essence is that in modern versions of Windows, the system is set to give preference to IPv6. The attacker responds with DHCPv6 messages, provides the link-local IPv6 address and specifies the attacker's host as the DNS server. Next, DNS spoofing attack is performed. The attack is implemented in mitm6.cap. You can customize the prompt to which you enter commands. Including you can show in it useful information. An example with statistics output is contained in test-prompt-stats.cap. The web-override.cap caplet overwrites any loaded page with the one the attacker specified. The pair is the web-override.js file, this is the http.proxy module, and it describes the actions that are performed, for example, which page to display. You can write your own caplets, if you want, you can offer interesting examples to add to the repository. You must install the Go compiler. When you are ready, save your changes and close the file. Change the directory to $GOROOT, which we specified in ~/.bashrc. As you can see, bettercap from a simple and fun program for man-in-the middle attacks has grown into a powerful multifunctional tool. 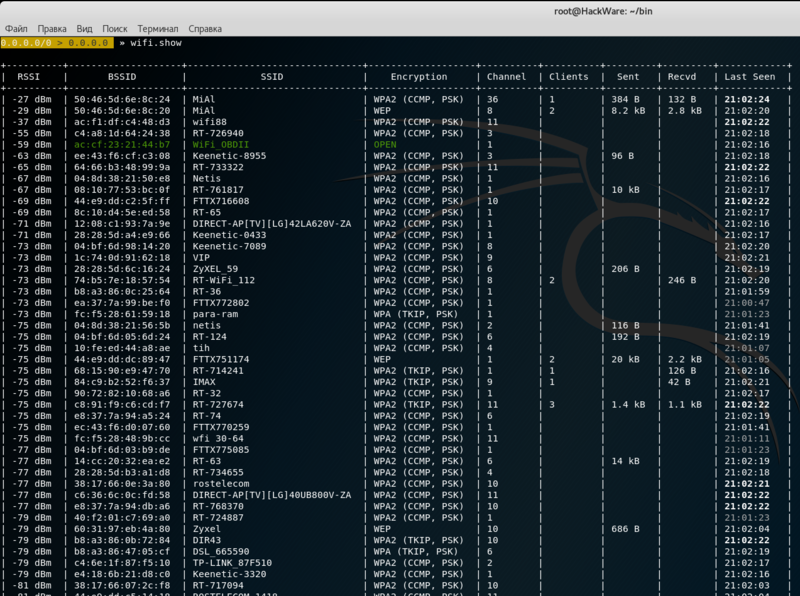 To simplify routine activities, you can write small caplets in several commands: for example, to run sniffing on a local network, or to collect information about Wi-Fi networks. Curious, in bettercap 1.x you could launch it with --sniffer and it would output all sniffed packets with a netbio name, the destination and it would highlight thing like post or get requests. How is this done in 2.x? I would just like a simple caplet that would let me arp spoof, then see all web traffic to and from that client, highlighting important things like post. I would also love to be able to launch a caplet to display all machines on the network, their name, and web traffic. There was issues with bettercap releases < 2.6. In bettercap 2.6.0: do not probe while arp.spoofing, fixes arp.spoof on the whole subnet. So, now it should work fine. Can you expalin the new stuff…. please. I'm stuck and no one has a vid on it or any explanation. Sorry, what are you intentions? And what is your Linux distribution? 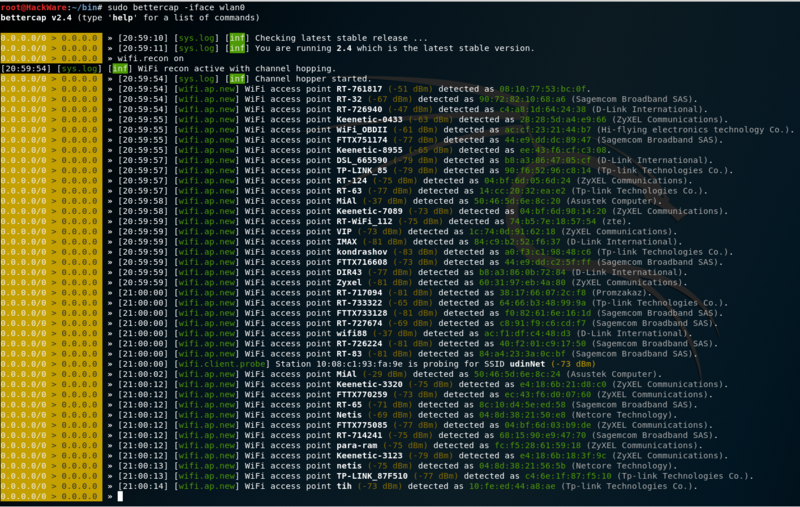 If you want to install bettercap 2.x from the source code in Kali Linux, so please look at ‘Installing bettercap from the source code in Kali Linux’. (I've updated the section recently). Thanks for that. My intentions are pure. I'm bored with windows and am just playing around exploiting my network of 5x access points, 2x ip cams, 3xwifi music units - I used bettercap a year or so ago and am trying it again, but it's changed to golang etc..
i recently asked evilsocket for some tutorial, but i found a good one here… this is awesome!!! i dont undestand. bettercap dnsspoof is not working… This is my video. i am using ettercap in this video.. i am doing dnssoof in this video… when my victim open http web page , ettercap forwarding him web page and my local host is opening… But i can't attack this with bettercap ??? bettercap dnsspoof not working like the ettercap dnsspof ? can we do this attack with bettercap ?? Hello! Did you try commands from this section? Hello! I believe, when you use --no-spoofing, you need not the -T 10.0.0.20 option (otherwise use the set arp.spoof.targets 10.0.0.20 command). Spoofing and active host discovery (--no-spoofing and --no-discovery options) are disabled by default. Not sure how to replace the -P POST option, I think you should use http.modules. Also you can investigate the BPF filter for the sniffer (net.sniff.filter). Or try some dirty hacks with events.ignore FILTER. Thank you Alex. Going to try this. Did any one findout how to perform above command in v2 version. I'm trying to figure out how to use the interactive session as you call it. When I just run "sudo bettercap -X -P POST --proxy" for example my router flips and even disconnects from internet for all clients on the network (need to restart router). I don't really see data showing even though I'm visiting websites on my phone. I see a different interface of that what you guys are using as well. When I run "~/go/bin# ./bettercap" I get the interactive part but don't really understand how to use that. So when using Beef capulets, I need to run the beef-passive (or active) plus beef-inject, right? Do I need to change either of the capulets? (I am not getting a beef hook).